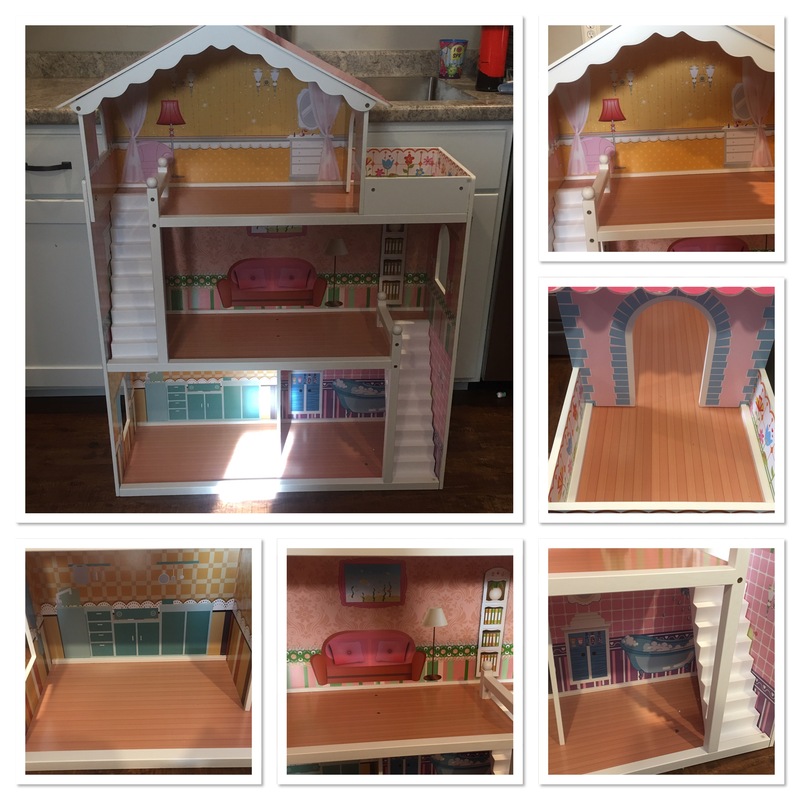 Every little girl wants a huge doll house for their dolls. I know I did when I was little and Peyton has been asking for all year long. The Best Choice Wooden Dollhouse with Furniture is a great option for looking for a large dollhouse for the holidays. I like that I can order it online and have it shipped to my home. Mine arrived in a plain white box and you could not tell it was a dollhouse. That was a huge deal for me. I hate it when I order something online and everyone can see what it is. If you decide to get a wooden dollhouse for your little one be sure to put a side about an hour or so to assemble it. And if you had one other person to help it would make it go faster and be a tad easier. Another suggestion is to take every piece out of the box, unwrap them and lay them out. Then take the directions and layout the pieces in the order you will be using them. Also, keep the web page up so you can have a visual of what you are trying to build. If you do all these, your experience will go much smoother and even faster. It took me about an hour to put the house together by myself and there were a few times I had to take pieces off and rework it. If I had done the above I don’t believe I would have had those issues. Once the house was built I couldn’t keep Peyton away from it. She went and grabbed her Barbies and Disney Princess Dolls and started playing. 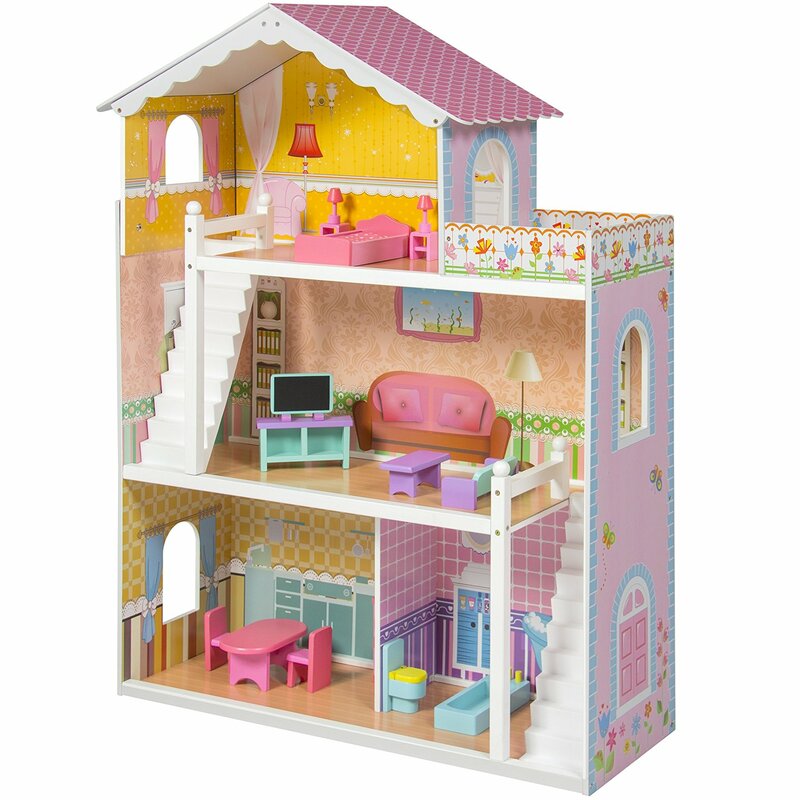 This dollhouse will bring hours of imaginative play to your little one. As for storage, that can be a bear. But the dollhouse is very light and easy to carry from room to room. When I want to move the dollhouse I simply pick it up by the windows on the top floor and walk it to the desired area. It’s really easy. Or you could push it up against a wall. Bottom line this is a wonderful dollhouse for children. My daughter has been enjoying it with her dolls and Calico Critters. It really brings her imagination to life. You can purchase your very own Best Choice Wooden Dollhouse on Amazon or Walmart. I like what you say about taking all the pieces out and laying them out in front of you. I think know what you’re working with before you start building can save you time. 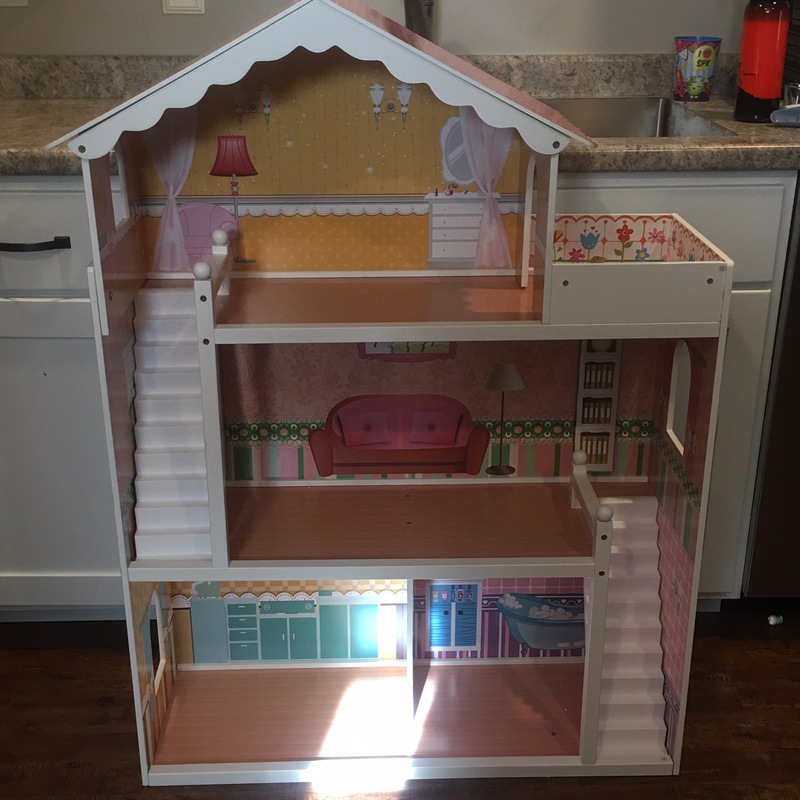 We’re looking for the right wooden dollhouse for my daughter right now, and when we find it, I’ll make sure to look at all the pieces before I build it.